CATTOR Mobile is used by the Field Service Engineers to handle the orders on site. It's used to track material used and hours spent. When done the customer signs the order on the mobile device. A trial version of CATTOR Mobile is available on iTunes. 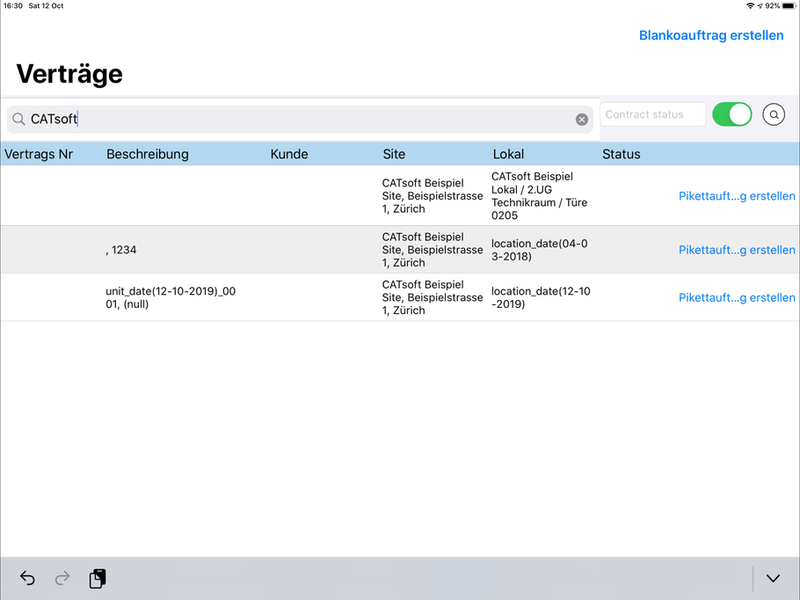 CATTOR Mobile is an iPad App for the FSE that shows the planned orders including material needed and scheduled appointments. It's used to track material used and hours spent on this order. The FSE can add various remarks for customer and back office and take photos. When the order is done the customer signs the order and the data is synchronized with the main CATTOR database. During synchronization a details PDF about the order is generated automatically and sent by mail to the customer. 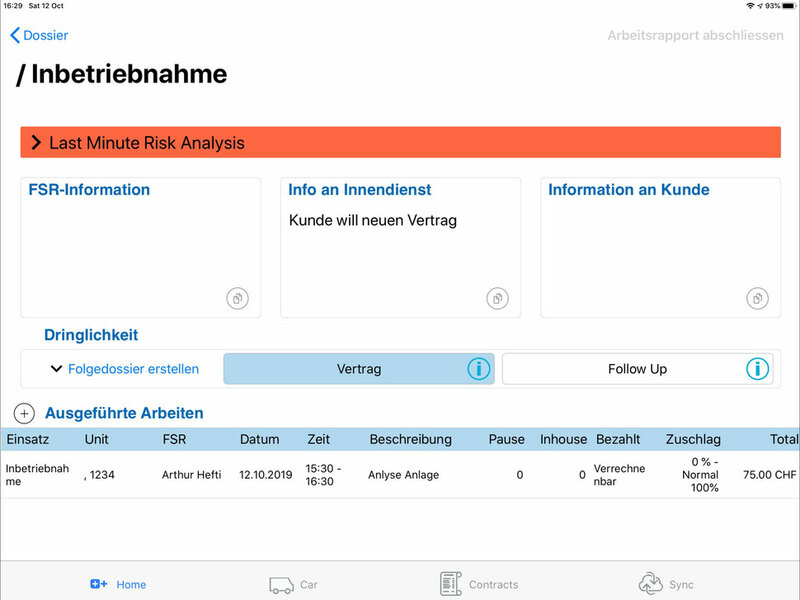 The FSE can add additional activities to the order with CATTOR Mobile. That can be useful if e.g something unplanned appears and has to be fixed. Not only data about orders are available on CATTOR Mobile. We send the installed base at this location to the mobile device as well. 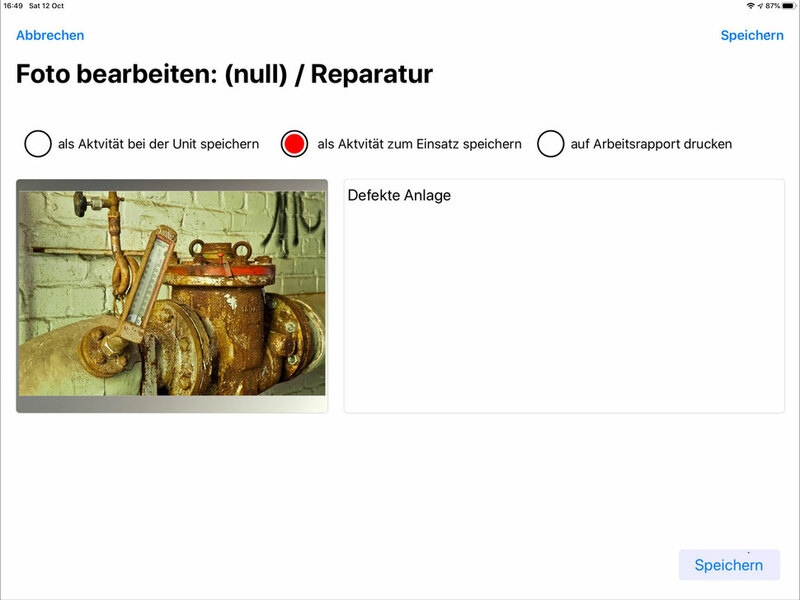 This allows the FSE to add activities to any component on site. CATTOR Mobile can be used for picket service as well. When a customer calls outside the business hours the FSE in charge can look up the contract information and decide wether a service needs to be done at once or work can be postponed until next day. If the FSE needs to do a service at once he can create an order from the iPad. 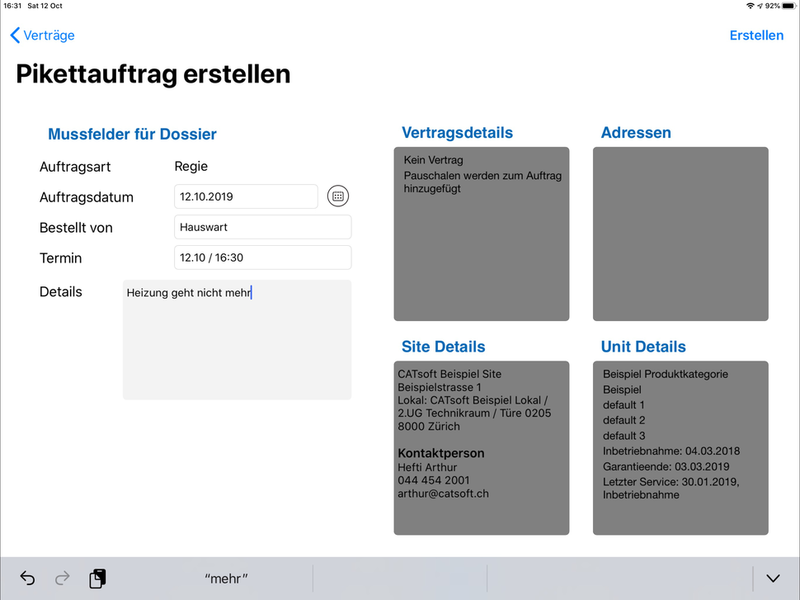 If needed the FSE can create an order on the iPad during the phone call with the customer and execute it immediately. When the order is done it's synchronized with the main database and is available for billing.